JEGS Jumper Cables are simple to use on all cars, trucks, vans, SUVs and motorcycles. The long 4-Gauge cables give you ample reach when jump-starting a vehicle. The color-coded cables are tangle-free and feature fully shielded clamps with copper plated jaws. Clamps are designed to use on top-post and side-terminal batteries. 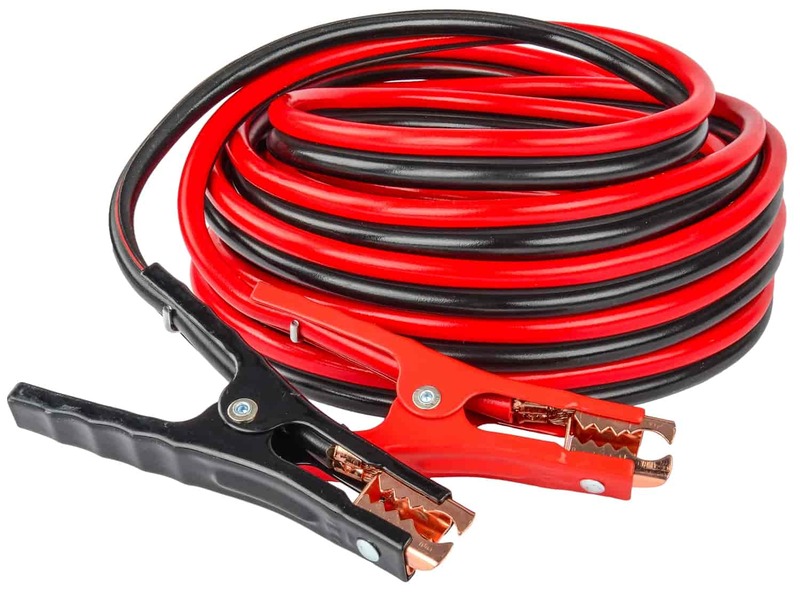 A great addition to your vehicle emergency kit, JEGS heavy-duty Jumper Cables ship to you neatly packaged in a handy storage case ideal for traveling. 81964 is rated 4.9 out of 5 by 20. Rated 5 out of 5 by aaranda920 from handy for the bigger jumps i bought this to jump start in an emergency. i have used these twice, and they are great. handles bog currents with no problem. jumpstarted a semi with them. worked on the first try. Rated 5 out of 5 by Avery Racing from Great Jumper Cables!!!! I ordered these and got them delivered to me the very next day. They work great!!! I highly recommend them! Rated 5 out of 5 by Southern gent from The best jumper cables I bought these a couple of years ago, and they worked so well, I bought 3 more recently. I like the length of the cables, which give you increased ability to reach a vehicle which may be in a parking space with vehicles on either side. So, I bought 3 more to put a set in each vehicle I own, plus an extra one in the garage. Good quality, well-made, great length, at a very good price. I don't know how you get a better buy. Rated 5 out of 5 by CG02 from Great as always Bought parts and merchandise from Jegs for some time now. Never disappointed and always satisfied. Really quick service. Great Job! Rated 5 out of 5 by Boardcutter from Like the length Bought these to use with my tractor used them a couple times work great. Are these made in the USA or are they imported? These are copper clad aluminum wire jumper cables.